Today at Cynsations, I'm honored to feature a conversation between Tu Books (Lee & Low) editor Stacy Whitman and author Karen Sandler. 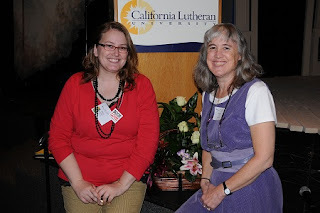 Stacy Whitman is the editorial director of Tu Books, an imprint of Lee & Low Books. She specializes in fantasy, science fiction, and mystery for children and young adults. In 2009, she founded a small press named Tu Publishing, dedicated to publishing multicultural fantasy and science fiction for children and young adults, which was acquired by Lee & Low Books and became Tu Books. Stacy spent more than three years as an editor for Mirrorstone, the children’s and young adult imprint of Wizards of the Coast in Seattle. She holds a master’s degree in children’s literature from Simmons College. Before that, she edited elementary school textbooks at Houghton Mifflin, interned at the Horn Book Magazine and Guide, and spent a brief stint working as a bookseller. Karen Sandler is the author of seventeen novels for adults, as well as several short stories and screenplays. Before becoming a full-time writer, she worked as a software engineer, including work on the Space Shuttle program and communications satellites. 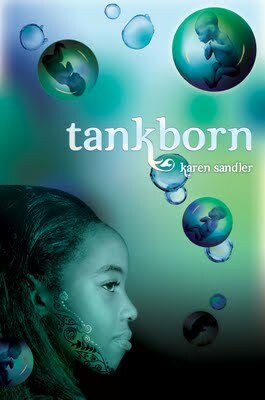 Sandler first got the idea for Tankborn in the mid-1980s when she wrote it as a screenplay, and over the years while she was writing other books, the idea grew to include the planet Loka and Kayla’s life. 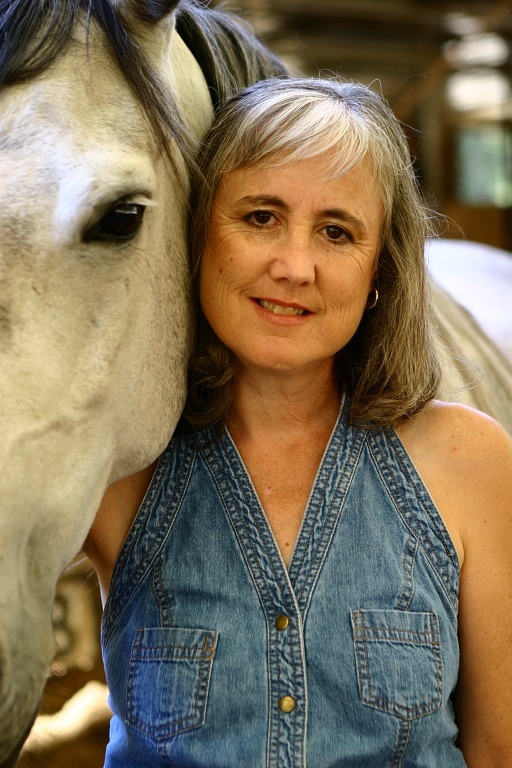 Sandler lives in northern California with her husband, Gary, and their three cats, and can often be found riding her Andalusian/Morgan mare, Belle. Tankborn is Karen's first novel for young adults. SW: Most of your other books are romances set in the real world. What made you want to write a novel set in a completely new world like Tankborn? KS: I often tell people who ask this that the real question is why did I write romances. Science has always enthralled me, and I read science fiction from a very early age. My B.A. is in math with a physics minor and my M.S. is in computer science. I wrote science fiction throughout my teens and 20s and dreamed of seeing a short story published in "Analog Science Fiction and Fact" or "Asimov's Science Fiction" magazine. I started writing romance novels after reading several and discovering I really enjoyed the genre. But whenever possible I would sneak science into my romances. 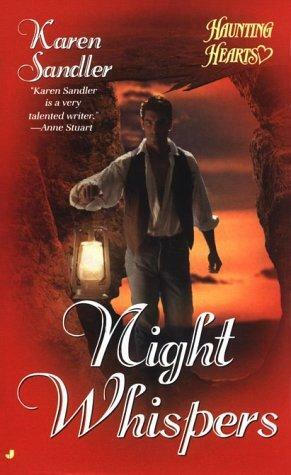 My book Night Whispers (Berkley Jove, 1999) was essentially a science fiction novel (which earned me membership in Science Fiction & Fantasy Writers of America) with a strong romance plot line. I was thrilled to be able to create my own world in Tankborn. I felt as if I was at last coming home as a writer. SW: You originally wrote Tankborn as a screenplay named "Icer" in the 1980s. How did '80s culture influence your worldbuilding process? KS: My inspiration centered around my fascination with genetic engineering, which was in its infancy in the early 1980s (Genentech, the first genetic engineering company, was founded in 1976). Engineers were tinkering with bacteria, viruses and mice; certainly not anything as large as a human. Genetically engineered humans in fiction seemed to always be conceived as being superior to ordinary, naturally conceived humans. I decided to turn that idea on its head in "Icer"'s world, have the “bionorms” be the elite overlords and the genetically engineered “gene tricks” be the slaves. The script’s story took place on Earth, with a subplot that involved cryogenically frozen bionorms (icers) stored in orbit around the planet. SW: As times changed and your vision of the book changed, how did the current culture’s vision of the future affect your worldbuilding in the final version of the book? KS: I’d say the biggest change was the ubiquitous use of tech. We all have iPods, smart phones, tablets, netbooks, and other gadgets. It’s an easy leap to imagine those devices in the hands of my future population. However, as we’ve seen with the Green Revolution and the Arab Spring, insurrection can be quashed when those forms of communication are controlled by the elite. Thousands were called to Tahrir Square using cell phones and Twitter, which helped to created an unstoppable force in Egypt. In some cases though, the government managed to shut down the internet and therefore shut down the protest (at least temporarily). In Tankborn’s world, one way the trueborns control the GENs is by denying them any form of communication besides word of mouth. Also, the economic ascendancy of India on the world stage legitimized my desire to use Indian culture and the caste system as an underpinning of Tankborn’s society. I could justify extrapolating India as the main source of engineering and financing of the diaspora to Loka. SW: Why did you choose tattoos as the identifier of genetically engineered nonhumans (GENs)? Some of their genetic manipulations are obvious—additional limbs, facial growths, patches of fur, scales or ridges on their skin. All share a tell-tale jick trait—colorless eyes, the iris solid white. When the script was optioned, this was one of the first things to go. The problem is, an actor uses her/his eyes to act. Having a blank, white eye would make being expressive that much more difficult. So the colorless eyes went by the wayside. Black and silver tattoos, patterned like electronic circuitry, decorate his arms. The fetus spins slowly, shows first the left side of its face, then the right where imprinted on the baby’s cheek is the double helix of DNA. The lines of the tattoo shimmer, iridescent. So originally the tattoo was a strand of DNA. It wasn’t active the way the tattoos are in Tankborn. In "Icer," gene-tricks were uploaded using a jack in the crook of their arms. The idea of using the facial tattoo as an electronic interface was a no-brainer in Tankborn once I put it on the characters’ faces. But the henna-type design for the GEN facial tattoo came very late in the development of the book. Stacy wanted to know what the tattoo looked like (we would eventually need it for the cover). It wasn’t really concrete in my mind, but then the idea for a henna design hit me. It would tie in culturally, but would add sort of a creepiness factor in that henna tattoos are meant to be celebratory and temporary. They are anything but that for the GENs. SW: What was the most surprising or challenging aspect of worldbuilding Tankborn? KS: The governmental structure. I still don’t feel as if I have it fully fleshed out. For some reason, I’ve had a hard time getting a grip on that piece of the puzzle of Tankborn’s world. I’ll be glad for the opportunity to more fully develop Loka’s government in subsequent books. SW: What was the seed that germinated the idea of Tankborn? (Yes, I know that’s a mixed metaphor, but go with it!) How did it grow along the way? What cultures influence this book? KS: Just as I began writing romance novels after reading and enjoying several in that genre, Tankborn started with a rediscovery of young adult literature. As a member of Romance Writers of America, I often judged books for the RITA, the organization's annual contest for published romance fiction. Amongst my packet of books a couple years running were YA books. I loved them. They were my favorites of the eight or nine I’d receive each year. I started thinking about writing my own YA book, and serendipitously that compulsion linked up with my long-time desire to write a novel version of "Icer." I considered how "Icer" might work with teen characters. I shed much of the original screenplay’s story along the way (although some of that will return in subsequent books) and eventually gestated what became Tankborn. Indian culture of course influenced Tankborn, but also Roma, Irish, Celtic, and probably others that subconsciously made their way into the story. SW: What kind of research did you do as you wrote this manuscript? What sources did you come to depend on? KS: I confess, what didn’t come out of my own imagination and history came from the internet. I used Indian baby name sites, Wikipedia, and various other sites related to Indian culture. The site I visited the most was a searchable English/Hindu dictionary. You, Stacy, also had a consultant read the manuscript and give us feedback on my depiction of Indian culture. SW: Why did you choose to explore the caste system? At what point in the writing process did that intersect with the ideas of slavery and genetic engineering? KS: I first learned about the Indian caste system back in the mid-1970s when I worked on the Space Shuttle project with Dr. Azad Madni, who was originally from India. Azad told me stories of his life in India, about how the caste system worked, how his family was of the Brahmin class, and he showed me gorgeous photos of his wedding to his (non-Indian) wife. We remained friends for years, and I’ve recently made contact with him again through the internet. The connection of slavery and genetic engineering originally appeared in "Icer." The idea of using the Indian caste system to structure Tankborn’s society came about fairly early on, in the first draft of the manuscript. I did consider that China could have been a major force in the diaspora from earth to Loka, considering that country’s growing influence. But I felt more of an affinity for India, thanks to Azad, and that was the direction I went. There is one Chinese character mentioned in Tankborn—Junjie. You’ll see more of him in the second and third books of the series. SW: Why did you create the religion of the GENs? What importance in worldbuilding does religion play in Tankborn? KS: I wanted to add as many layers and as much complexity as I could to Tankborn. My son, who had been my beta reader, was the first to suggest achieving that complexity by weaving religion into the story. My son and daughter-in-law (and my long-suffering husband) had a long conversation one night at dinner about how the religious beliefs of Tankborn’s castes might have developed. It made sense to me that the GENs would have an entirely different set of beliefs than the dominant trueborns. I’ll be touching even more on Lokan religions in the second Tankborn book. SW: How do culture and religion intersect in Tankborn? Tu is an imprint of Lee & Low. KS: The trueborns’ religion—belief in the Lord Creator—matches their position in Tankborn’s society. They are both the lords of all those beneath them—lowborns and GENs—and creators themselves (of the GENs). Many lowborns follow that same religion, as a way of aspiring to the rank of trueborn. There are other lowborn sects that will be fleshed out in the next books. 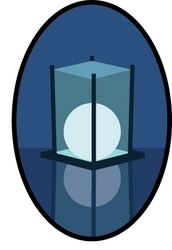 GENs worship the Infinite, who can only be looked upon as a reflection in a mirror. The GENs themselves could be thought of as reflections of what the trueborns want them to be. SW: Let’s talk about the science of Tankborn. Do you think this is a possible future for humankind? What was your extrapolation process to build this world? Is genetic engineering good or bad? What happens when a society relies so much on “advanced” medicine that they forget things that we’d consider common sense? KS: I think the technology will get there for GENs to exist, but I would hope controls on society stop that endeavor from coming to fruition. I don’t think genetic engineering is innately bad, although I can imagine it being used for bad purposes by certain elements. In the case of Tankborn, I relied on extremes for the book’s view of the future. These particular colonists are more concerned with controlling their population than assuring all a fair place at the table. They see this control as essential for their survival, and use that as their justification for the suppression of GENs and lowborns. None of this would happen overnight. It’s incremental. Perspectives change gradually, from one generation to the next. But since this group was born from chaos (the situation on Earth that led them to leave the planet), order is extremely important. That desire for order above all else just becomes more calcified with subsequent generations. SW: Related, what about the social science of your world--culture, government, socio-economic status, racial politics, and so forth. How did such a world come to be? KS: Those in the highest socio-economic strata have the most power and autonomy. That has always been true. In the case of Tankborn, socio-economic levels decide whether a given person can participate in government at all. Originally in the U.S., only landowners could vote. Likewise in Tankborn, with the additional control over who can even own land. Which comes back to the answer to the previous question—the desire for an orderly society. Full democracies are messy and disorderly. An oligarchy, where the ruling class keeps an iron hand on the ruled, is much tidier. What I was trying to do with racial politics was to reflect the single-minded focus we have on skin color in the U.S. I’m white, the color that bestows the most privilege here in the U.S. Many Americans are uncomfortable confronting that reality because we’d like to think we’re past that. In Tankborn, the color of privilege is a particular shade of brown. Both ends of the spectrum away from that ideal, both lighter and darker, would be considered of a lesser class. It’s even more complex in Tankborn because the strata of lowborn and GEN cut across the color rubric. You might not find a lowborn or GEN with that exact, special shade of brown, but it could be close. Every member of Tankborn’s society is trained from childhood on to recognize and discriminate by class, even when it’s too subtle for the untutored eye to see. SW: Talk to us a little about your use of language in Tankborn. There are many terms based upon Sanskrit, such as “adhikar,” and other words, like “sket,” which are blended words. What influence does such language have upon the worldbuilding of a book and how a reader experiences science fiction? KS: When I’m reading science fiction, I like to see at least some terminology or language that takes me out of the ordinary world. It helps to pull me into the atmosphere of the story, helps me feel part of what the characters are experiencing. As a writer, those alterations and additions to current day language help me stay within the future I’m creating as I’m writing. By the same token, that language should be easy for the reader’s eye to scan. For example, if I used sz;eoru to signify some crucial element of the story, most readers would be stumbling over that word every time they encountered it in the book. Each time, they’d be yanked from the story as they tried to pronounce it in their mind. It’s also a problem when futuristic language is overdone, so peppered throughout the book it’s a struggle to get through. I tried to use a light hand with Tankborn. Read an excerpt of Tankborn. 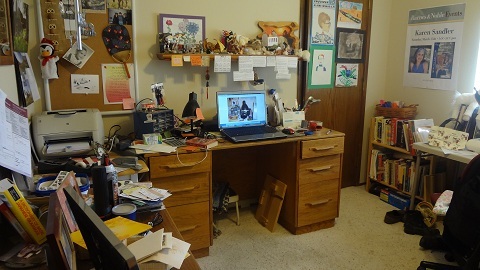 Editor Interview: Stacy Whitman of Tu Books (Lee & Low) from Cynsations. Peek: "Speculative fiction is a great way to get a child interested in reading who might not otherwise have gotten interested. If diversifying speculative fiction for young readers helps some reluctant readers get more interested in reading, we're opening up not only a genre to them, but a world of learning. But beyond reluctant readers, there are avid readers out there looking to see themselves reflected in the books they love." 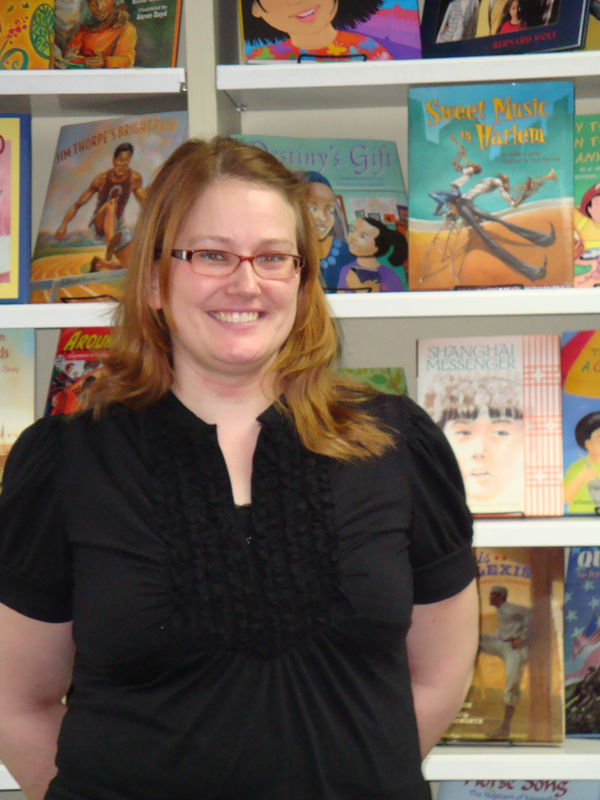 Interview with Stacy Whitman by Malinda Lo from Diversity in YA Lit. Peek: "...we’re moving more toward stories that are about something besides the 'experience' of being a minority. Hopefully, more and more books will be more about the adventures of a person who happens to be from a particular race/ethnic background, rather than about their trials as a person of a certain ethnicity (i.e., it’s so tough being X)." Tu editor Stacy Whitman is offering a critique of the first 10 pages of a middle grade (8-12) or young adult (12 and up) manuscript. The manuscript should be fiction (no nonfiction or picture books). Though she specializes in fantasy, science fiction, and mystery, other genres such as realism are welcome. Her response will include a fifteen-minute phone call with the author and short, written notes about the submitted work. The winner will have three weeks to submit an excerpt for critique, and the critique and phone call will occur within two weeks after that. Submissions should be writing targeted to young readers, ages 8 and up. The phone call may also touch on any questions the author has about the audience or market for the book, the publishing and submitting process, etc. To enter, comment on this entry and include an email address (formatted like: cynthia at cynthialeitichsmith dot com) to foil spanners or a link to an email address. Or you can email Cynthia directly. An extra entry will go to those who, in a comment, ask Stacy or Karen a question or make a related observation. Additional extra entries will go to those who tweet, blog, or otherwise promote this link/giveaway. Please indicate your efforts/URLs in your comment. Limit five entries. Eligibility for this critique giveaway is international! However, if the winner is from outside the United States, Stacy will confer via Skype instead of by phone. Deadline: midnight CST Oct. 24. This was a great interview. The evolution of the world of Tankborn was so interesting to read. Hi, Linda. I use a variety of tools to keep things organized. In the past, I've used a calendar, but with a book as complex as TANKBORN (not to mention Loka having an entirely different calendar), that doesn't work as well. I will sometimes use a "timeline," which is basically a table in Word where I have a column for the day/date, a column for the chapter, and a column describing the events that happened on that day in that chapter. I also will have a file for my major characters where I describe aspects such as physical characteristics, inner/outer conflicts, and like/dislikes. Then I use a generic notes file for miscellaneous stuff. For TANKBORN, I also have a flora/fauna file, a Lokan government file, and a Lokan history file. That worked well for me writing TANKBORN. what a great interview and article! I particular loved Karen's comments regarding the power and prevalence of communications technology. What would our world do - how would it change - how would it change the power structure among people - if we were denied the use of such technology. can't wait to read Tankborn and read more about it. Thanks for the great interview! It's fascinating to see a glimpse of the process of worldbuilding in TANKBORN. It sounds quite involved. I know it was originally a screenplay you wrote in the 80s, but how long did it take you, Karen, to write it as a YA novel? What kind of changes did you have to make for a YA audience? Stacy, as an editor who works on both MG and YA books, what would you say the main differences between the genres are? Thanks so much for the great interview! Hi, Jenilyn. How long it took to write is always a difficult question to answer. Do you mean how long the first draft took? Then it was about seven months. Do you mean how long did it take until the manuscript was in final form? Then I think that was more like close to 2 years. But I wasn't working on it constantly in that time (had other books in between), so it didn't take quite that long to write. I didn't really adapt the script into a book, btw. I just took a few ideas from the script, then developed the book independently. Thanks so much for posting this interview! I admit I've been stalking Tu books online lately, just trying to learn more about the imprint and about Stacy. This was a nice sneak peek. I'm wondering, Stacy, what you would say the benefits and challenges are for an author to publish with a small imprint like Tu? And, Karen, what do you think? Also, I just tweeted a link to the interview. And I'll give it a shout out on Facebook. Woo! Great article. It was interesting to get a glimpse of the world of Tankborn and how changing technology influenced the book during the writing process. Thanks for both interviews especically Stacy Whitman's interview. It's great to see someone publishing diverse and multicultural books and actively seeking authors of color. Stacy, has the success of Rick Riordan's Red Pyramid and Simone Elkeles' Perfect Chemistry series help TU Books promote and sell multicultural fantasy and science fiction? Is it easier to create awareness and cultivate an activity fan base? There are lots of benefits to publishing with a small publisher. I'm not a small cog in a big machine like I was at certain other large publishing houses where I've been published before. I've had tons of attention not only from Stacy but from Hannah and Lucy in publicity and marketing. Having Tu's marketing department put up a website just for my book was pretty amazing. Between Stacy, Hannah, and Lucy, Lee & Low has done tons to get the word out about TANKBORN, WOLF MARK, and GALAXY GAMES. Thanks for the great interview and info! Karen and Stacy, what are some things to avoid when world building for a novel? What are some of the pitfalls? I have a couple suggestions about worldbuilding. One, be consistent. Keep track of your world and its creatures/plant life/climate/geography so that everything seems part of that whole rather than tacked on. That means keep records of everything you invent. Second, be as inventive as you can. While humans would have a hard time living on a planet with a cyanide-gas atmosphere, for instance, try to make your world different enough from earth that your reader can experience that other-world adventure. I had never heard of Tu Books, so I was excited to learn of the imprint. TANKBORN sounds like such an interesting read! I'm looking forward to seeing it. Thank you. I have been reading Stacy’s Grimoire since Tu Books became an imprint of Lee and Low Books. Being Hindu, the caste system has always fascinated me: how we ‘know’ the caste of another, how we justify the system in terms of societal order (apparently conducive to economic and spiritual growth), how even a taste of privilege makes us blind to injustice. Karen, you mentioned that words such as ‘sz;eoru’ may become a stumbling block to immersion in the story. Is there a way of resolving the issue without discarding the word? I am now writing a middle-grade fantasy novel based on Hindu mythology, and don’t want to change the names too much. In some ways, I wonder whether that sort of change caters to the cultural blinkers. Thank you for Tankborn. A great read! Any chance that you will write a world-building workbook? How awesome is it that Karen's family helped her figure out the religious beliefs in her book? Thank you for this in-depth interview. I'm really looking forward to reading TANKBORN. Even though the script wasn't adapted into TANKBORN, given the way Hollywood has portrayed multi-cultural actors/actresses in various films, I'm curious about your thoughts on who you'd like to portray characters in your book. Thank you! Thanks - what a fascinating interview. I'm now eager to read "Tankborn". Karen, I was wondering if you had read Nancy Farmer's SF book, "The House of the Scorpion"? If you did, did it influence you at all? I've tweeted the contest and will blog it. mekj at earthlink dot net. Tankborn sound fascinating. I especially love to hear about it from the author. The creative process is great inspiration. Hi, Mary. No, I've never read THE HOUSE OF THE SCORPION, although I've heard of it. I really ought to add it to my TBR. Hi, abhava1. I think you really need to balance your desire to include unusual spellings in your work with how much that might pull a reader out of the story. For me (and our expert cultural reader), the case could be made in TANKBORN's world that language would change over hundreds of years to the extent that words would become simplified. That allowed us to drop some of the diacriticals and to shorten the words. The key is to be flexible. I think you always have to consider how the unusual words and names will serve the story. To me, story is king. If those unusual words negatively impact the story-telling, they will not be effective. As for me writing a world-building workbook, it's not something I've considered. Interesting idea, though. Hi, Vivian. First, I would be thrilled to have TANKBORN adapted into film. I think it would make a dynamite movie. I'm not not very knowledgeable about who's who among young actresses and actors. With a little Googling, I found Keke Palmer and Sydney Park. Either of those two beautiful young women could play Kayla. A younger version of Sendhil Ramamurthy would be pretty perfect for Devak. I'm sure we could find some good possibilities in the Bollywood world. Anyone out there have some casting suggestions for TANKBORN? Creating an entire religion seems daunting to me--sort of like creating a language ala Tolkien. Very cool. I'd love a critique from Stacy! I'd love a critique from Stacy, too! And I have a question for Stacy which is kind of unrelated to the post. I've noticed in her Twitter feed that she seems to follow a lot of Korean shows. My question is, what's the draw to the Korean culture? Just curious. Sorry I've been MIA all weekend--I don't have a computer at home and I've been out at Comic Con. My attempts to answer questions on my smartphone were thwarted by the Blogger interface on Android. So I'm finally in to answer a few questions. @Jenilyn, I've written many posts on the difference between YA and MG on my blog--if you search stacylwhitman.com for "middle grade" you'll find them. The most pertinent, however, would be this one at SFWA: http://www.sfwa.org/2010/09/the-pirate-code-of-children%E2%80%99s-literature/. @Kari Anne, pretty much what Karen said, more editorial and marketing attention. You probably won't get any big-budget marketing pushes like ads in the New York Times or a cross-country tour, but nowadays few authors with big publishers get those either. As long as you're willing to work with your publisher to do what you can (school visits, blogging/Twitter, online efforts, etc.) marketing your book with a small press isn't a huge difference from working with a large publisher. @email entrant: I'm not sure. I'm glad those books are high-profile POC-main-character books, but I think we get a few every year. The numbers of midlist titles still need to grow, though, and I think there are a number of factors going into increasing awareness, including those books but also Racefail (which happened in 2009), an increased amount of discussion online in a number of forums such as tweetchats and blogs, and word of mouth among librarians. Not to mention teachers and librarians who work with kids of color becoming more active in spreading the word that they *need* more POC in the books they give to their kids. @cstewmax, I'd highly recommend keeping a series bible when worldbuilding, noting characters' physical characteristics as well as those of monsters, fantastical/made-up creatures, important animals, etc., as well as sketched maps if your characters do a lot of running around town/the countryside. Whether or not your book is an *actual* series, it's useful to help you keep everything straight. @Caitlyn Young: Generally, I feel like mature content is the author's decision to include or not include. I just advise the author on potential marketing pitfalls. There have been times when I've asked authors to pull back a little on language when I feel like it's the only thing that would keep a YA book from crossing over for precocious 10- or 11-year-old readers (for example, a comedy that includes only one kiss and some puppy love, which is more about the adventure/mystery than the more mature topic of love/romance). This doesn't happen very often. However, this is a rare occurrence. If the content of the book is relatively mature (more than one "mature" marker, such as language, sexual content, drugs, violence), I don't worry about making it so-called "clean" for younger audiences--it is what it is, and it gets marketed to an older audience. This isn't to say that precocious young readers won't find older YA books on their own, but the difference is that we wouldn't specifically make the suggestion to teachers/parents/librarians/readers that such a book was *okay* for MG readers; that's a decision that those gatekeepers and the kids themselves would have to make on an individual basis. @Melanie: The answer to that is both simple and complicated. In college I had two Korean roommates, and over the years I just keep running into new Korean friends (and I work not too far from New York City's Koreatown, where I often eat lunch). I'm also a big anime buff (back in the 4th grade I wanted to BE Japanese; in the 80s the news was telling us that the Japanese were so far ahead of us educationally, and I wanted to be the smartest kid in the world, and could not figure out why God made me born in IL and not Japan). So add those two: I was looking for a new anime to watch, and a friend who knew of my connection to Korean friends told me how Hulu had a bunch of Korean TV shows now streaming, particularly one she thought I'd love (The Woman Who Still Wants to Marry, a romantic comedy). I watched it and was hooked--there are so many funny romantic comedies, especially those by the Hong sisters writing team. Watching all that Korean-language TV, even with subtitles, made me want to learn Korean, especially because my NYC Korean friends were coming back from their summer away soon. So I'm learning, little by little. You know how nerds are: lots of obsessions. It's just one of my current ones. Thanks to talking to the Japan Airlines people in the American Airlines booth at Comic Con this weekend--and the intro-to-Japanese packet they handed me--I might end up learning Japanese at the same time! Cyn- Thanks for posting this interview! Stacy- Where do you find your culture consultants? Should writers attempt to hire their own consultants before submitting manuscripts for consideration or is it okay to rely on one's researcn and experiences at first? Karen- I can't wait to read Tankborn. I'm impressed that you have been developing your ideas and world since the 80's. Do you plan to write further books set in this world? Cyn- Please enter me in the contest! After reading this interview, Tankborn is now not only ON my to-read list, but it is at the TOP! Yay! :). lisa42590 at yahoo dot com. I find it fascinating (maybe I mean jealous? LOL) that Karen can be successful in both the YA and adult market. It can't be easy! I wish you much success, in both Tankborn and Tu. Hi, Liz. I do have two other books planned. They will tie up some loose ends left untied in TANKBORN and unravel some new ones. @LizG: Mostly, I find them through networking--through Lee and Low's contacts, and through my own friends and professional contacts. Generally, if your writing is inspired by a particular culture, you'll find ways to make friends or already have friends from that culture. If not, try your local university (both library and other departments) when doing your research if you need to go beyond online research; sometimes they have students or professors from the culture you're writing about who might be willing to give you an interview or look at your book (though these will not necessarily be expert in fiction or children's lit, so that can be a double-edged sword). Whether or not you want to worry about a cultural expert before submission depends on how confident you are in your research, I suppose. Generally I'll always want my own expert to take a look as well, either before acquisitions if it's a culture I'm not familiar with or after if I feel I know enough to acquire the book, if the writer is not from the culture he or she is writing about. But if I'm not confident that you did your research thoroughly in the first place (i.e., if something rings falsely to me from something I know about that culture or something someone tells me when I do some minor investigation), then it probably won't get to the acquisitions stage. So, do the research to support your worldbuilding. And above all, write a good story. The best research in the world won't help you if the story is bad in oh so many other ways (character, plot, pacing, etc.)! Hi Karen! Great interview and Tankborn is on my to-read list now. Question: did you feel nervous about including a culture in Tankborn (Hindu culture) based purely on research rather than experience? Do you think being able to readily research material on the Internet improves the quality of the writing industry or does it compromise authenticity? Thanks! Monique Palisander at yahoo dot com. Hi, Monique. Yes, I was concerned about authenticity while writing about Hindu culture. I wanted to get it right, show my respect for that culture. The Internet is a great resource, but I was very cautious about using just one website for a piece of information. I would search as widely as possible to assure myself my search results were accurate. Hi Karen, Thank you very much for your response. I do agree that language evolves and as Tankborn is set so far in the future, the words can be changed. However, I really do not think that culturally specific words and names negatively impact the story or story-telling. In my opinion, the problem is marketability in the US and Europe. It is not easy for those of us born and raised in a different culture to play by the rules of the American ‘caste’ system. I have to decide between the cultural authenticity intrinsic to the novel and marketability in the country that is now my home. How much do I forgo of one in order to gain the other and will it break my heart to do so. @abhava, I don't think Karen's saying you have to sacrifice culturally specific words and names or that you have to give up authenticity. Quite the reverse. I think (and this is just how I took it) that she's saying the made-up words in fantasy are what confuse readers (calling a loaf of bread a "merp" rather than a loaf of bread--a nonsense, made-up word). Words from other cultures aren't made up--they're actual words. So, for example, the words in TANKBORN from Sanskrit were used because they reflected the culture that the world of TANKBORN is steeped in. However, it has been hundreds of years since Earth in that world, and language adapts over time, so they're not *exactly* Sanskrit--some accents were lost, that kind of thing, which is the kind of thing that happens to language over the course of centuries, an extrapolation I'd want to see in a science fiction book. "How does culture and language change over time?" is one of the what-if questions any science fiction author would ask. I certainly hope that those familiar with Sanskrit would be able see that influence in the words Karen uses, even with the extrapolation. The question you raise about marketability in the US and Europe is an interesting one, one which I think has more to do with storytelling style than specific words and names. As an example: in Japan, light novels are often serialized and have a much more passive voice in the storytelling style than we're used to here in the US. People here love manga and anime, but translations of Japanese novels haven't taken off at nearly the same rate. But the exact same story told in the style that a US audience is used to might take off, theoretically. I don't think a Japanese person necessarily has to forego cultural authenticity to appeal to an American audience, but sometimes adapting the voice or style might be necessary. Does that make sense? I'm not even sure that "style" is the right word. Because I'd want to see a sense of that hypothetical Japanese author's "Japanese" and personal style ("Japanese" in quotes because there isn't just one way to be Japanese), and the audience would want to as well--that's why we often love anime and manga, because they have a particular style. So I don't think you have to forego much of your own cultural authenticity to appeal to an American audience, though perhaps you might tell the story in a slightly different way? And of course that leaves out the question of cultural authenticity in storytelling forms (cultures preferring different kinds of storytelling), but I hope that helps. Hi Stacy, Thank you for the clarification. I interpreted Karen’s response as referring to both made-up words and culturally specific words and names. My initial question to Karen related to my writing a novel based on Hindu mythology. Being Hindu, I may use nick-names acceptable to the culture but I have no intention of making up words to replace Sanskrit or Tamil words. Perhaps I should have made that clear. Again, let me say that I think Tankborn a great read. I see it as a thoroughly enjoyable science-fiction/fantasy novel, not so much a science-fiction/fantasy novel steeped in the Hindu culture. I look forward to the sequel. Were there any plot points which gave you trouble, but, after you solved them, the solution seemed so right/obvious that you found it hard to imagine why it had you stuck in the first place? Thanks for so much detailed info. Oh my, I must read this. I worked at Cetus (biotech) right out of college and went on to conservation biology and evolutionary ecology. Now that I'm writing SF/F, all that bio-coolness infiltrates my stories. I'm thrilled to see somebody else doing things along those lines. I've found folks are uncomfortable calling these sorts of speculations "science fiction." What do you (Karen, Stacy or Cynthia, or anybody else) think about this? How would you define it? I just have a quick question for Stacy. Will you be attending World Fantasy Con this year? I'd love to be entered into the contest! And I spread the word! Hi, Jude. There was one plot element where it came across as too "on the nose," that is, it led the reader in exactly the right direction to figure out the mystery. It took me some time to find a way to make the process more circuitous. In a light bulb moment, I decided that what Kayla thinks is a revelation is actually a red herring. Kayla and the reader would believe the direction I was prodding them was the truth, but the reality was something else entirely. Great interview. It's wonderful to see some insights from inside the publishing world. You guys are doing great work at getting more diversity within the SF community. Karen, I loved the use of genetic engineering in the book. I enjoyed reading what each Gen was able to do. Stacy, in world building for a YA book do you need to created a religion for your world? This sounds like such an interesting and well thought out concept and that Karen has done an incredible amount of research for this novel. Do you (Karen) find that as you do research, more ideas come to you about different directions the story can take? @Mike: No, sorry. I wanted to, but it just wasn't pussible this year. Maybe next year. Tankborn is next in line on my Nook. Karen, you look so familiar. Are you, by any chance, connected to the homeschool community? Here's a question for Stacy - In wading through stacks of submissions, what initially caught your attention about Tankborn? Karen, you should definitely read "House of the Scorpion"! I was not sure what I thought of the ending the first time I read it, but the first sections of the book are brilliant - and chilling. Must now get my hands on "Tankborn"! Hi, Heather. I tend to go with the traditional definition of science fiction. If the science element were removed, would you still have a story? If I had set this story on earth using the actual Indian caste system as a backdrop, it wouldn't be the same story at all. So, yes, I think it is true science fiction. Hello! Could you give an example of special terminology that you like to see in science fiction? I haven't yet tried building my own world in a story, but have based a novel on another culture. Karen has done both in hers. I wonder if one is harder than the other. In basing a story on another culture you have to be accurate about the details of that culture. I creating your own culture, you come up with all you own ideas and they have to ring true. Any thoughts on this Karen or Stacy? @Laurisa, what caught my attention on Tankborn was a combination of the voice being perfectly spot-on, and it being a dystopia (which I have loved ever since seeing Mad Max Beyond Thunderdome, or maybe it was a Terminator movie, in the 80s) and the culture/class system. It was just what I was looking for, and perfect timing, too. Julie, yes, I do get further ideas as I research. I try not to get too far afield. Research can be a time-waster if I keep getting interested in threads and follow them. But what I learn can definitely spark my creativity. Laurisa, I did homeschool my two boys, but it was years ago (they're 25 and 28 now). At that time, if there was an online homeschool community, I wasn't aware of it. Wow. What an amazing interview. And now I can't wait to get my hands on a copy of Tankborn. Besides the other books in the Tankborn series, do you have plans to write other Young Adult novels? Thanks for doing this interview. That was highly enjoyable. I forgot to include my email addy! Ooh, YA scifi! It feels like this genre has been sleeping in YA for a while, and it's refreshing to find something like this. My e-mail address is hvozdany at hotmail dot com. I came to the page to enter the contest, but I'm VERY interested in reading the book now, as I teach a Writing About Big Brother freshman comp class and it sounds like the government in this book might fit the class nicely! I'm always looking for new angles on the theme. Thanks for another great interview. I've been following Tu books since the earliest stage and am happy that things have worked out so well. Stacy--I appreciate your comments about approaches to storytelling in different cultures and countries. I live overseas and in some cultures see substantial differences. I attend the Frankfurt Fair each year and have visited the Bologna Fair, and I was wondering if Tu Books has considered acquiring rights to multicultural books published in other countries? I also tweeted and blogged this post. It just goes to show that when it comes to writing, you can never say die! To take a screenplay from what? 25 years ago? Gives me hope for some of those ideas languishing in files. And brava on the world you built--adding religion is a layer of depth I always enjoy. I hope to acquire books from other countries, but the right book hasn't come up yet. In fact, the idea that spurred Tu's inception was bringing a light novel over from Japan, which I'm interested in at some point, though I'm not sure when. I've been looking at possibilities from other English-speaking nations, too. It will just depend on finding the right book at the right time. Hi, Erin. In addition to Tankborn, I've been working on a supernatural/horror YA off and on. I got some feedback from my agent on it a while back and had to write an entirely new first half, then stitch it all back together. So there's still a fair amount of work to do on it. Hi, Sarah. I think the years of separation from the script gave me the freedom to write an entirely new story. I only borrowed a few elements--the idea of genetically engineered slaves, the way they were disposable in the eyes of higher classes, Kayla's sket, and her being the main character. There are a few other character names I lifted from the script, but the book's plotline is completely different. Joy, that would be very cool if you used Tankborn in Writing About Big Brother. It sounds like a fantastic class! Tankborn sounds like an exciting story. Thanks for sharing the interview. Stacy: What do you think about books with on-line video gaming chats included in the storyline? I will definitely tweet about this contest - it looks so fun. Love the interview! Anything behind the scenes, but especially for books like this, makes my heart go pitter-pat, and this one was so in depth. But Karen, how did you decide which words to use and when, especially when some of the words can be quite a stumble to get through? (oh, and I tweeted about this. So glad I caught the tail end of this. Stacy is a fantastic editor http://twitter.com/#!/heatherzundel/status/128588916449214464). Hi! I would love a critique from Stacy. I'm excited to read this novel - looks fascinating! The idea of including Hindu culture in a scientifically advanced alternate world is an interesting - and original - idea. Karen, I'm curious as to why you eventually decided to become a writer instead of working in the science field, since people often consider writing and science to be completely different areas of study that don't really go together. I posted this interview on Facebook. Heather, I think the word usage was writer's instinct more than anything. My beta reader, agents, and Stacy helped me figure out when the language worked and when it didn't. Anonymous, I wanted to be a writer before I wanted to get into math and computers. I think I was 9 when I decided I wanted to be a writer. It was when I was in college that I realized how much I enjoyed math and the sciences.